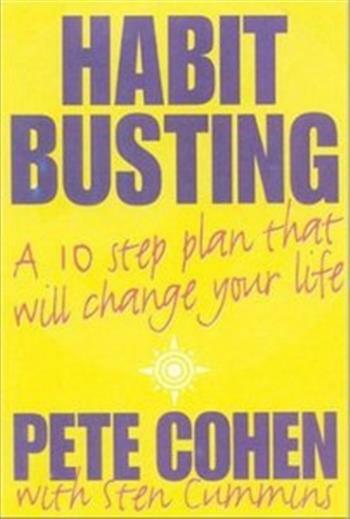 Habit-Busting: A 10 Step Plan That Will Change Your Life | Free eBooks Download - EBOOKEE! Posted on 2013-05-16, by soc_arm7. How would you like to be your best self -- all the time? To be free and successful at work? To eat healthily? To give up smoking? To stop procrastinating? The authors show you here how to stop your habits -- with a simple, accessible, and quick plan. In this invaluable guide Pete Cohen and Sten Cummins offer techniques to stop sabotaging yourself, and straightforward strategies for bringing out your best. With wit and humor, the authors show how in just 21 days you can turn a bad habit into a healthy one that can last a lifetime. No comments for "Habit-Busting: A 10 Step Plan That Will Change Your Life".